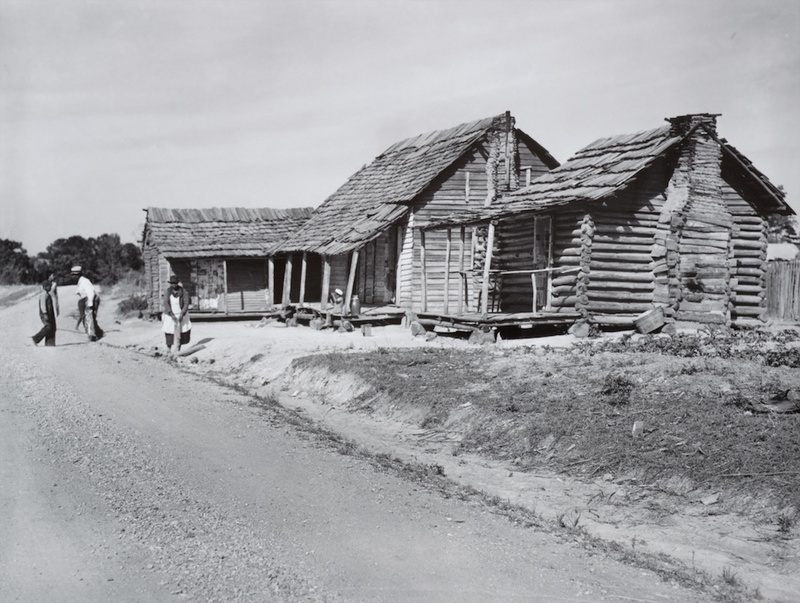 The Parker family, of Gee's Bend's Sodom neighborhood, and the Kennedy family, of the Pettway settlement "over the creek," were photographed extensively by Arthur Rothstein and Marion Post Wolcott for the Farm Security Administration. Clementine Parker Kennedy, a member of both clans, is described by her daughter Estelle Pope. She was born Clementine Parker in 1904, the daughter of Mark and Alice Parker. After Alice died, he married Angelina. Mama was raised in the Sodom community. She married Boston Kennedy in 1925, and they moved into a project house over the creek in 1939. They were farmers, grew cotton to sell, and corn to feed the farm animals, and sweet potatoes, and they had a big garden. They kept chickens, hogs, and cattle. Daddy had a smokehouse, and when he slaughtered his hogs, he washed and salted them and put them in that smokehouse. 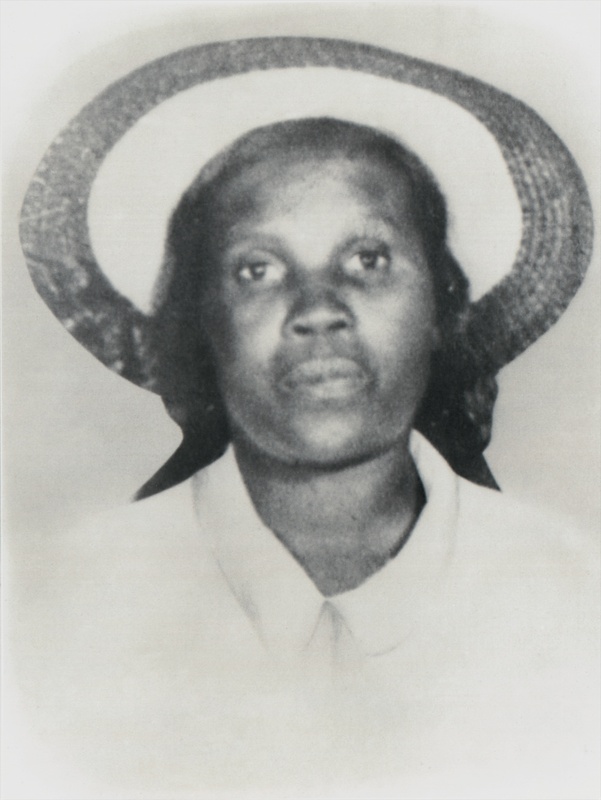 Mama had fourteen children, and when she was between childbirths, she shared the farm work. Generally she worked in the fields from May to September. Then it was time to get the children ready for school and to make quilts. She put together quilts from anything she could get her hands on: old clothes, fertilizer sacks, and pieces of cloth too small for anything useful. The batting, she made it from raw, ginned cotton. Spread it out, beaten it till it was soft and fluffy. They whipped the quilt into the frame and hung it from the living-room ceiling. She had three sisters and they all helped each other—Jennie, Cherokee, and Nell. When they finish a quilt at Clementine's, they would go to another sister's house and do the same kind of thing. The lady of the house would provide a simple lunch, and the children helped by threading needles or by fetching. My mother was a homemaker. She was a quiet, loving woman, and she loved to cook. When she was planning to cook a chicken, she always put it in a coop for a week before cooking it—"to clean it out," she'd say. One week, she made sure we get chicken and dumplings; the next week, beef. Corn bread and biscuits was her specialty. And you know, they never argued in front of us children. They have a problem, like a problem with the children, it was always discussed in private. My daddy was a strict man, kept the discipline, but he was a loving man who would go out of his way to care for a sick neighbor—sit with them or rubbing an ailing body to cure them.